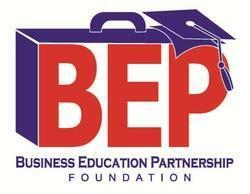 Registration is now open for BEP Summer Business Camp Presented by State Farm, scheduled for the weekdays of July 15th – 26th from 8:00 a.m. until 3:00 p.m. The camp will be hosted by Middle Tennessee State University's College of Education on campus at the Center for Educational Media. Students who attend this tuition-free, two-week summer day camp will have the benefit of meeting and working with volunteers from the Rutherford County business community. The camp provides students with the opportunity to explore business as a career option and to understand how the world of business works.